DC Comics Universe and Post Justice League No Justice Spoilers follows. But as its name suggests, the Still Force isn’t something that is exclusive to speedsters. One of the important pieces of Justice League will be the introduction of the Legion of Doom, familiar to longtime fans as the antagonists of the classic Challenge of the Super Friends animated series. And one of that team’s members might be particularly suited to harnessing it. 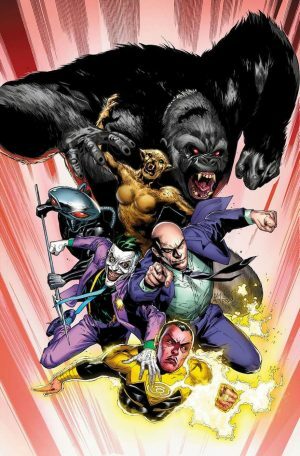 “One of Barry’s greatest villains, Gorilla Grodd, might have a leg up on him when it comes to figuring out how to control this thing,” Snyder hints.